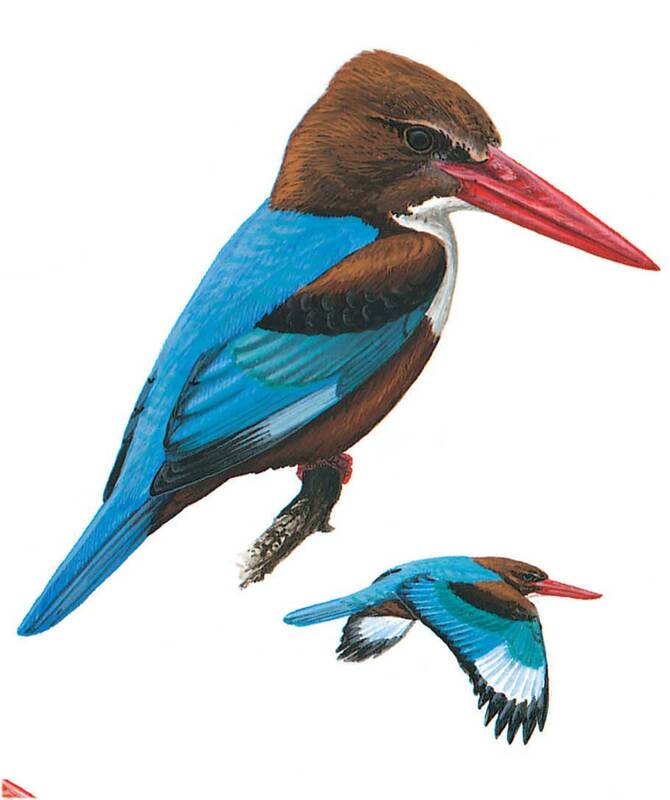 Large, unmistakable brightly coloured kingfisher with enormous red bill, dark brown head and belly, large white ‘bib’, brilliant turquoise-blue upperparts and black forewing. In its fast straight flight shows conspicuous white primary-patches. Rather noisy; often perches on wires (but can sit well hidden) looking for prey on ground, which is often taken in shrike-like manner.